It’s safe to say this past year that went down in digital history as the year of swiping right and left for love with popular mobile dating apps. Once singles got used to spending time on Tinder, the curiosity of newer released mobile dating apps got the best of them. 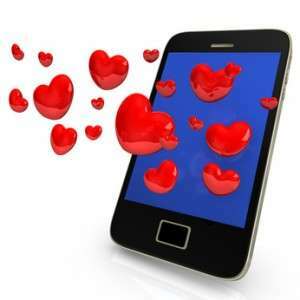 If you thought you could find your soul mate on one of 5 mobile apps, would you download them to your smartphones now? I think so. Here are 6 mobile dating apps recommended by Cyber Dating Expert that you should be using, right here, right now. It’s time to speed up your search and fill your date cards. Bumble is the mobile dating app which gives the ladies all of the control. I call it the “Sadie Hawkins” of digital dating. Created by Whitney Wolfe, a former co-founder of Tinder, Bumble is free to join. Users sign up from Facebook and then select their photos, distance they’re willing to search up to, and age requirements in the app. How it works: Women view profiles of potential dates and they make the first move to select who to “like” by swiping right or who to “dislike” by swiping left. If there’s a mutual like, you’ll get a pop up with the two of you that says BOOM! Connected. You both liked each other. You then have the choice to click on “More Bumble” to see more matches, or “Start a Chat” so you can get the conversation going. Then, it’s up to the women, who have 24 hours to strike up a convo in the chat bubble on the top right of the app. Otherwise the match will disappear. Your current chats will appear in the “Conversations” section of the app until you decide to delete them. The app also let’s you know when a potential match is about to expire. Did you swipe left by mistake? No problem. Their “Backtrack” feature allows you to shake the phone to get that last cute guy back in the game, but shake wisely. You only get three backtracks a day. Why we like it: The ladies are enjoying being the one in control and let’s face it, the guys are competitive. They want to get selected and know they won’t be rejected if she starts the conversation. We featured Tinder back in 2013, before swiping right became a household term. Tinder is the fastest growing location-based mobile dating app and Tinder-like apps are being launched every day. No longer the new kid on the block and not just for hookups. I know what you’re saying, you can’t say you met on Tinder, right? Singles are swiping left and right to the tune of 16 million swipes a day. This year, Tinder announced Verified profiles since so many celebrities had joined the Tinder bandwagon. From Hilary Duff to your next door neighbor, everyone seems to be swiping. While Tinder is free, they launched a premium service, Tinder Plus, which costs between $9.99 and $19.99/month. Singles can now “Super Like” a potential match, giving them a digital heads up that they’re more than just a swipe away. Other premium features include “Passport,” which allows you to search in another city to help you fill your date card, before you hop on a plane or travel elsewhere. Swipe regret? Premium members can also get back that last left swipe, just in case you swiped in error. New in 2016, Tinder will allow you to take photos on your camera roll and won’t limit you to using only photos that were posted on Facebook. Another new feature announced this year is the ability to send GIFS through GIPHY. It ramps up your flirt, big time. How it works. Users download the mobile app on their iPhone or Android phones and connect through Facebook to create a profile. You can set your distance and age range (from 18-55+)in the “Discovery Settings.” Users anonymously swipe through potential matches nearby. If you’re interested, you swipe right. If you’re note, you swipe left. If it’s a mutual match, you can start chatting in text message style directly through their app. Once you swipe left, that profile will never appear again. You can also decide to unmatch yourself from someone if the conversation has a lull or if you had a date that wasn’t worth repeating. Why we like it: It’s simple to use, free, let’s you see your Facebook friends in common, and is the fastest growing mobile dating app. It’s also a fun way to make new friends, as not everyone is single. You can view a variety of potential dates in a digital moment and anonymously decide whether you’re interested in them or not. 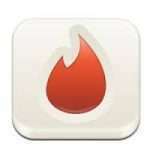 Tinder boasts 9 billion matches to date with over 10 million active users. Hinge is a mobile dating app that will only match you with friends-of-friends on Facebook and you can see where they work, as it pulls your data from Facebook. This is appealing to daters. Singles believe this app has less of a hookup tendency than others. Coming on the scene as the more serious version of Tinder (or anti-Tinder), Hinge gives you a limit of 5 -15 matches a day and this limit creates value and appreciation for each potential match. Once you’re matched, you’ll have 14 days to start a conversation. Their new handy countdown clock will let you know how much time you have left to message your mutual match. Basically, you’ll need to exchange digits within their time limitations or the match will disappear. How it works: Singles download the app and log in using Facebook. Once you confirm your location, you’ll start receiving matches. You can see who you are connected through on Facebook and can even ask your mutual friend what he or she thinks about your potential date. You can set your age preferences and check off some of your passions from their curated list. Once you start receiving matches, click on the heart or swipe right if you’d like to make it a mutual match or click the X or swipe left if you want to decline. When you become a mutual match, you can start communicating through the app. Once you hit your match limit, you’ll be notified to check back and are encouraged to invite a friend to join Hinge. If you recommend a friend, they’ll send you more matches. Why we like it: Their profiles include the first and last name of the potential date. It gives you a feeling of confidence knowing the person is genuine and authentic. Women love the app because it makes them feel safer while dating. Plus: There’s a 50/50 ratio of men to women. CMB has won the hearts of many singles looking for love online, especially the women. Featured on Shark Tank, the creators, the Kang sisters turned down a $30 million offer from Mark Cuban to buy the company. How it Works: Users sign up through Facebook to create their free profile. Every day at noon, you’ll receive one match (a bagel) from a friend-of-a friend. You then have 24 hours to “Like” or “Pass” on the daily bagel, or even give the match to a friend. If you miss one of your bagel dates, you can request to be rematched. Users can visit the CMB bean shop to buy coffee beans to pay for upgraded services at the cost of $1.99 to $24.99, but can also easily win free beans by recommending a bagel to a friend and liking their social media pages. Once matched, you can then start texting with your match in a private chat, but remember to act quickly, as the chat is only active for 8 days. Why we like it: For those of you who feel overwhelmed with too many choices, or are too busy to log on regularly, this is a more manageable dating app. Users look forward to receiving their daily “bagel” at lunch time. CMB believes your dating life, including your name, birthday and email should be private. They also claim that your friends are the best conduits for your dates, and that meeting quality people doesn’t have to be so awkward or complicated. It also feels like you’re playing a fun game, as you receive coffee beans when you respond to a match. 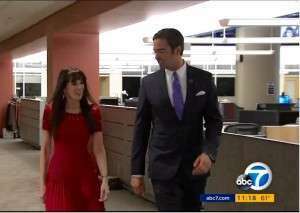 Remember Craig’s List Missed Connections? Happn is a more modern day approach to matching with someone you’ve already crossed paths with, but never really connected. Every time you pass by a spot with another member IRL, you’ll get an instant push notification that another member is nearby and boom, you can meet instantly. Some may find it very efficient. Others may think it’s creepy, and might not want to meet after a sweaty yoga class. But then again, they wouldn’t be on this app if that were the case, so go ahead and be spontaneous. If you think you might miss out on a digital crush who hangs in the same h0od as you, but are on the shy side, this app is for you. Note: The app was created in France and is available in 25 cities around the world. They are starting to expand in the U.S. and may not have rolled out in your city yet. 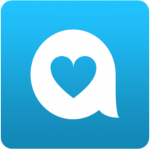 New in 2016, Happn has added a voice feature, so you can hear the sound of your future date’s sweet nothings. How it works: Download the app and log in to Facebook, where yo can edit which information in your Facebook profile that you want to appear in your bio. You must enable your location services for the app to work. Every time you cross paths with another member, it will appear on your timeline feed. You can like someone’s profile by tapping on the heart button. If the feeling is mutual, you’ll be notified and you’ll be considered in the crush stage. You can also view how many times your paths have crossed. If you want to take it a step further, men can pay to to send a charm. There is no cost to women at this point. Charms are similar to Tinder’s “Super Like” feature, except you buy them in a package. Each charm is equal to using one credit. Why we like it: You won’t have to wonder about the one who got away. You can also now sync with Instagram to see your potential date’s feeds and interests. There was a great Shakespeare quote, “If music be the food of love, play on.” Now you can celebrate #MusicMonday every day of the week with a potential date who has the same musical interests as you do. Concert dates can be a lot of fun and sharing music is passion that many have on their list as a must-have. With this in mind, although Tastebuds is a social networking app, we feel it belongs in the dating category as you can share playlists and more with your potential date. How it works: Users can sign up easily through Facebook or via email. You can send a message bomb for free to eight of your matches. Your music library can be added or you can add your favorite artists and bands manually. Searches can be fun as you can search by the name of the band that you’re a fan of and within a certain age criteria. Within seconds you can be matched with someone who also loves Pink Floyd and the Beatles. Why we like it? Perhaps I’m biased as a former music radio DJ, but music is a shared experience. Who would want to go to a concert with someone who didn’t know who David Bowie was? 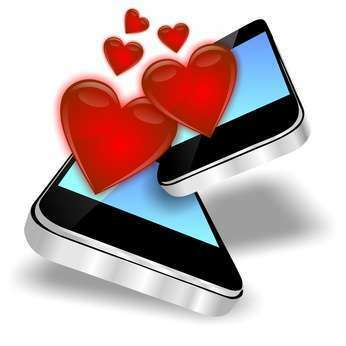 Do you have a favorite mobile dating app that you’d like to share? 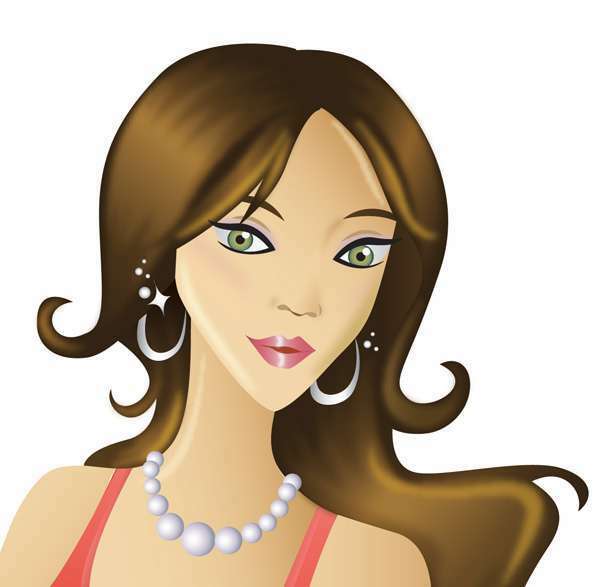 Julie Spira is an online dating coach and mobile dating expert. She was an early adopter of Internet dating and has been helping singles find love online for over 20 years. Julie is the creator and host of Mobile Dating BootCamp and founder of Cyber-Dating Expert. For dating advice, follow @JulieSpira on Twitter and Instagram. Sign up for the Free Weekly Flirt newsletter. Find out how Swiping Right can help you find your dream date. Read more mobile dating advice. Check out our book trailer for the new edition of The Perils of Cyber-Dating: Confessions of a Hopeful Romantic Looking for Love Online. Newly revised in 2016, the book includes bonus dating advice and a magical epilogue with a fairy tale ending. It’s 2015 and one thing is for sure, we’re dating in a mobile world. So grab your Smartphones, as we’re proud to announce the annual Cyber Dating Expert “Top 10 Mobile Dating Apps” list for 2015 for your viewing and downloading pleasure. We featured Tinder back in 2013, before swiping right became a household term. Tinder is the fastest growing location-based mobile dating app and Tinder-like apps are being launched every day. No longer the new kid on the block and not just for hookups (I know what you’re saying, you can’t say you met on Tinder, right? ), singles are swiping left and right to the tune of 16 million swipes a day. This year, Tinder announced Verified profiles since so many celebrities had joined the Tinder bandwagon. From Hilary Duff to your next door neighbor, everyone seems to be swiping. While Tinder is free, they launched a premium service, Tinder Plus, which costs between $9.99 and $19.99/month. Singles can now “Super Like” a potential match, giving them a digital heads up that they’re more than just a swipe away. Other premium features include “Passport,” which allows you to search in another city to help you fill your date card, before you hop on a plane or travel elsewhere. Swipe regret? Premium members can also get back that last left swipe, just in case you swiped in error. How it works. Users download the mobile app on their iPhone or Android phones and connect through Facebook to create a profile. You can set your distance and age range in the “Discovery Settings.” Users anonymously swipe through potential matches nearby. If you’re interested, you swipe right. If you’re note, you swipe left. If it’s a mutual match, you can start chatting in text message style directly through their app. Once you swipe left, that profile will never appear again. You can also decide to unmatch yourself from someone if the conversation has a lull or if you had a date that wasn’t worth repeating. Hinge is a mobile dating app that will only match you with friends-of-friends on Facebook and you can see where they work, as it pulls your data from Facebook. This is appealing to daters. Singles believe this app has less of a hookup tendency than others. Coming on the scene as the more serious version of Tinder (or anti-Tinder), Hinge gives you a limit of 5 -15 matches a day and this limit creates value and appreciation for each potential match. There’s also a new feature to give you a sense of urgency, as the match will disappear if you don’t message them within 24 hours. Their new handy countdown clock will let you know how much time you have left to message your mutual match. Once you send a message through the app, you’re notified that you have 14 days left to communicate. Basically, you’ll need to exchange digits within their time limitations or the match will disappear. How it works: Singles download the app and log in using Facebook. Once you confirm your location, you’ll start receiving matches. You can see who you are connected through on Facebook and can even ask your mutual friend what he or she thinks about your potential date. You can set your age preferences and check off some of your passions from their curated list. Once you start receiving matches, click on the heart or swipe right if you’d like to make it a mutual match or click the X or swipe left if you want to decline. When you become a mutual match, you can start communicating through the app. Once you hit your match limit, you’ll be notified to check back and are encouraged to invite a friend to join Hinge. If you recommend a friend, they’ll send you more matches. Bumble is the mobile dating app which gives the ladies all of the control. It’s like the “Sadie Hawkins” of digital dating. Similar to Tinder, it’s free to join and users sign up from Facebook and can then set their photos, distance, and age requirements in the app. How it works: Women view profiles of potential dates and they make the first move to select who to “like” by swiping right or who to “dislike” by swiping left. A popup will appear when you swipe left just in case you want to give a second look to a potential date. Mutual likes have 24 hours to strike up a convo in the chat bubble on the top right of the app, otherwise your match will disappear. Your chats will appear in the “Conversations” section of the app until you decide to delete them. Why we like it: The ladies are enjoying being the one in control and let’s face it, the guys are competitive. They want to get selected. 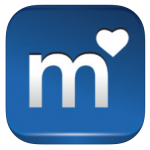 Match.com has been helping singles find love online for 20 years. Their mobile dating apps are free to download. Users can create a profile, view profiles to see what shared interests they have in common, send winks, upload photos from their camera roll, snap a picture, or select photos from their Facebook photos. How it works: Match allows you to search within your criteria or select from those they have matched for you in their “Daily Matches.” Daters can click the check mark button on the right to show their interest or the X button on the left if they’re not interested. Premium members are encouraged to write to their daily matches to have a greater chance of connecting. This year, Match began allowing singles to edit their usernames so they can post their real names to give more confidence and credibility to the daters. Singles can search with their “Discover” feature in the stream, or switch to “mixer” mode where the profiles appear to be more Tinder-like where you can swipe right to match or swipe left to take a pass. For an extra fee on top of your membership fee, you can now purchase premium features such as the “Top Spot” to help you receive 3x more views ranging from $2.00 to $2.99 or the new “Match IQ” for $1.99 for a 24-hour period, to help you decide when the best time is to reach out to a particular match you might find interesting. Why we like it: Online dating is a numbers game and Match has millions of members to select from. You can be the one in control writing to singles you’re interested in, or allow their algorithms to do the work for you. Plus you can turn on text alerts and receive a text to your mobile phone when you receive an email from a potential date. 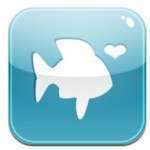 POF has become one of the largest free dating apps in the world. POF reports that over 80 percent of people who access POF do so from a mobile device. Their profiles are simple and they’re now in 70 countries around the world, in case you’d like to put a stamp in your Passport. How it works: Users sign up for free and can search for singles from their mobile dating app using new filters such as education, height, body type, by user name, newest users or the last ones to log on. Their “Ultra Match” feature allows you to refine your matches by selecting who you are interested in and allowing their algorithms to find the best matches for you. As complicated as it sounds, it’s really quite simple. The “Top Prospects” feature is a favorite. They provide a list of singles you’ve been in contact with and believe that 50% of the time your future partner is in their Top 10 list. Add to it they believe that 17% of the time they will pick the exact person you will end up dating. With promises like that, it’s worth checking out. Premium or upgraded members can post up to 16 images and show up first on “Meet Me,” a Tinder-like swiping feature where you swipe right to vote yes or swipe left to vote no. Why we like it: It’s free and there really is some digital magic going on with the “Top 10 Prospects” list. Grindr has made it to our “Top 10 Favorite Mobile Dating Apps” list every year. 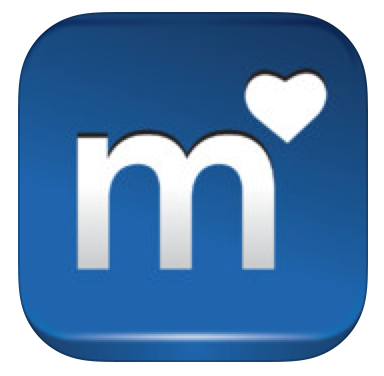 Let’s just say, they paved the way for mobile dating since their launch in 2009. Grindr is the world’s largest gay social networking app with over 2 million daily users in 196 countries. How it Works: Grindr’s free service allows you to view up to 100 guys and match or block your matches. Grindr Xtra, their premium paid service, is ad-free and allows you to view up to 300 guys. It also comes with push notifications and extra search capabilities, even when the app is closed. Why we like it: They paved the way for all of the other fun dating apps. Kudos to them. OkCupid is free and makes it easy to access the web version of their site on your mobile phone, as well as providing a mobile-only app that is location-based and simple to use. How it Works: Users can sign in from Facebook or directly on the mobile app to find singles in their area or by search criteria. If you’re intrigued by someone’s photo, you can double tap on it to “like” it as a favorite and a star will appear. They also let you know who’s online now with a bright green dot in case you want to start chatting. The “Quickmatch” feature on the mobile app allows you to view profiles in a Tinder-like style where you can see who has liked you and turn it into a mutual match by clicking the star icon or swiping right. Not interested? Swipe left or click the X icon to take a pass. If it’s a match, you can visit their profile or send a message. Their paid “A List” service gives you anonymous browsing and allows you to change your username. If you haven’t splurged on “A List” you can pay for their “Incognito” feature, where your profile is only visible to people you like or message. This feature also allows you to revoke a person’s access to your profile by “unliking” or hiding them. Another premium feature is “Rush Hour,” where during peak traffic times, you can boost your visibility for 15 minutes from $1.69 to $1.99 per boost. If you want to get automatically boosted once a day during peak hours, you can do so from $9.99/month to $19.99/month. Why we like it: Having the match percentage listed on a profile photo makes it easy for those who are intrigued by the computer algorithms and makes you curious to find out why. Plus, those provocative questions you were asked to answer to determine match compatibility can be viewed on the mobile app. How it Works: Users sign up through Facebook to create their free profile. Every day at noon, you’ll receive one match (a bagel) from a friend-of-a friend. You then have 24 hours to “Like” or “Pass” on the daily bagel, or even give the match to a friend. If you miss one of your bagel dates, you can request to be rematched. Users can visit the CMB bean shop to buy coffee beans to pay for upgraded services at the cost of $1.99 to $24.99, but can also easily win free beans by recommending a bagel to a friend and liking their social media pages. Once matched, you can then start texting with your match in a private chat, but remember to act quickly, as the chat is only active for 8 days. Why we like it: Users look forward to receiving their daily “bagel” at lunch time. CMB believes your dating life, including your name, birthday and email should be private. They also claim that your friends are the best conduits for your dates, and that meeting quality people doesn’t have to be so awkward or complicated. It also feels like you’re playing a fun game, as you receive coffee beans when you respond to a match. eHarmony is responsible for over 438 people getting married every day. Their free mobile app provides similar features to the desktop version, including signing up for free, getting matches, and filling out the questionnaire. eHarmony reports that users tend to access their mobile apps 5+ times throughout the day, as compared to twice a day on the laptop or desktop computer. How it works: Singles download the app and then create their profile. You can upload photos from Facebook, receive daily matches, and use guided communication for free. Premium paid members have the same functionality as the subscriber’s web version, where you can view photos, read and write emails, go through guided communication, and see when a match last logged in. Why we like it: It’s simple to use and the added “What If” feature lets you consider someone outside of your preferences. After all, what we say we want on digital paper isn’t always what we need. Remember Craig’s List Missed Connections? Happn is a more modern day approach to matching with someone you’ve already crossed paths with, but never really connected. Every time you pass by a spot with another member IRL, you’ll get an instant push notification that another member is nearby and boom, you can meet instantly. Some may find it very efficient. Others may not want to meet after a sweaty yoga class, but then again, they wouldn’t be on this app if that were the case. If you think you might miss out on a digital crush who hangs in the same h0od as you, but are on the shy side, this app is for you. Note: The app was created in France and is available in 25 cities around the world. They are starting to expand in the U.S. and may not have rolled out in your city yet. How it works: Download the app and log in to Facebook, where yo can edit which information in your Facebook profile that you want to appear in your bio. You must enable your location services for the app to work. Every time you cross paths with another member, it will appear on your timeline feed. You can like someone’s profile by tapping on the heart button. If the feeling is mutual, you’ll be notified and you’ll be considered in the crush stage. You can also view how many times your paths have crossed. If you want to take it a step further, men can pay to to send a charm. There is no cost to women at this point. Charms are similar to Tinder’s “Super Like” feature, except you buy them in a package. Each charm is equal to using one credit.